A world leading F&B company with a highly complex manufacturing plant in Singapore. Plans to double manufacturing and warehousing capacity in the next 3 to 5 years are in place. The Formula & Regulatory Manager leads and provides technical expertise such as Global Harmonization Standards (GHS) regulations and Global Label Standards (GLS) creation, Dangerous Goods transportation, formula protection, food safety-allergen management, new product registrations, global/regional projects, master data correctness, bill of material (BOM) setup & SAP QM setup for the Plant and functions as the subject matter expert in formulation/SRA matters for other plant associates seeking guidance on the subject. The Formula and Regulatory Manager is the final gate keeper and custodian ensuring technical data integrity and regulatory compliance of all finished products, intermediates as well as the ingredients for other neighboring locations. This role is to ensure compliance with the GHS, UN Dangerous Goods Transport, food regulations, religious requirement e.g. Halal/Kosher and deliver service in this area of expertise. Represent Singapore business unit in the Global Formulation/Regulatory Projects- allergen management, GLS, GHS, BOM validation, QM setup, SMI review, label creation/approval, YAFL flag, Dangerous Goods setup in SAP and DG related communications. Review and feedback company requirement changes regarding Formulation/Regulations to key stakeholders. Ensure regulatory compliance and trade secret protection on submissions to authorities & Customers eg. Product Registration, Technical communications and declaration documentation - COA, product Information, Free Sales certificate, samples and labels, allergen declarations & custom documents, Halal/Kosher registration. Training Formulation/Regulatory associates to be knowledgeable to support changing business needs. Formulation/Regulatory problem solving and resolution. Subject-matter-expert to resolve Formulation/Regulatory issues such as providing and training SDS creation capability to Korea, India, Pakistan and Singapore. Support other plants in navigating through complex document submission with freight forwarders and custom authority by providing good judgement interpretation. Address Dangerous Goods transport issues with freight forwarders and Port Authority. Understand the purpose of request from customers, work with Formula Governance Department (FGD), Legal and related functions to provide appropriate level of information to our customers. Custodian for the correctness of all the BOM setup in the Plant. Review all related regulatory requirements to Quality, Food Safety, Halal and ensure compliance including mitigation of corrective actions required. Lead Halal Assurance System (where applicable) including communication with BU/Region and Halal authority bodies, coordinate with purchasers and suppliers, and ensure Halal certificates and supporting documents are valid. Identify training needs of direct reports to build capability. Responsible to lead midyear/annual performance review, provide feedback and documenting the performance of associates. Encourage associates involvement in continuous improvements and to come up with Kaizen Projects. High level of accuracy, analytical, critical thinking and problem-solving skills required. Ability to influence and/or negotiate with suppliers, peers, managers, customers, auditors and authorities (food/health/religious/custom) to facilitate business priorities with sensitivity. An eye for details and project management skills for end to end project execution. Appreciation for cultural and religious differences. Degree in Chemistry, Chemical Engineering, Food Science or equivalent. Postgrad degree preferred. Quality systems ISO 9001, ISO 14001, OHSAS 18001, 17025 experience would be considered an advantage. Food/ beverage processing or pharmaceutical manufacturing experience is an advantage. Good Manufacturing Practices (GMP) knowledge. 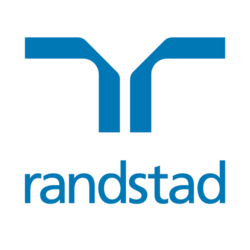 To apply online please use the 'apply' function, alternatively you may contact Jonathan at jonathan.soh @randstad.com.sg.